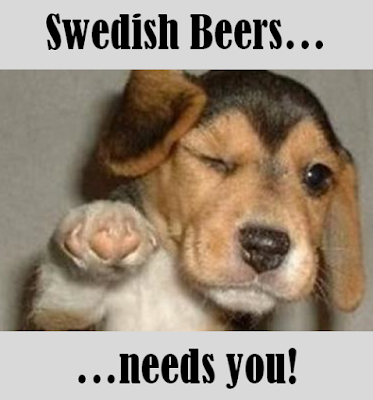 Swedish Beers London needs YOU! I had a lovely conversation earlier with my friends at The Nordic Bar to plot the next London edition of Swedish Beers. I'm a bit overdue a session on home turf having run successful parties in Barcelona and San Francisco earlier this year. So I've decided to crack and get it sorted sooner rather than later. I have some potential dates available in the next 5 weeks but to make it happen, not only do I need you lovely lot to come along and join the fun, but I also need some lovely sponsors too to pay for the drinks and shenanigans. I already have one sponsor confirmed and am talking to another, but there's certainly room for two or three more to join the merry throng. Who's up for being lead sponsor or a co-sponsor and help a couple of hundred mobilists mingle, chat and network? Get in touch if that sounds like you and I can fill you in costs, how it works and the value you get for your money and support.